Just as we humans feel loss, so too can a dog. This can vary from a dog being a bit quiet and withdrawn right through to full blown depression. The spray will greatly help the dog to cope. The spray is also very helpful when there is a terminal illness and end of days are close. Using when the day for euthanasia becomes a reality will be of great benefit. 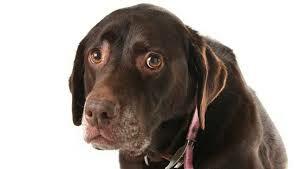 We have given some suggestions to help your dog recover from grief as well. We would suggest using twice a day for at least a week or even three times a day if the dog is very depressed.